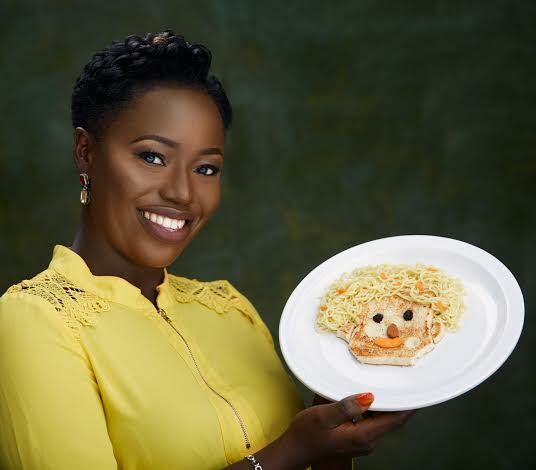 Oluwatoyin Onigbanjo is the founder of August Secrets, an online healthy baby and toddler food solutions company. She is a wife and a mother of 2 children and has a Masters degree in International Affairs from the University of Lagos and a Diploma in Child Nutrition (in view). Augustsecrets Nigeria provide 100% natural, homemade cereals for the Nigerian child and recently launched a book; Augustsecrets Meal Plan Book. FROM HAVING AN IDEA TO STARTING YOUR BUSINESS, SHARE YOUR JOURNEY WITH US. The journey started as a hobby since childhood, I have always loved good food, so when my son wasn’t eating well, I started trying on my own. Sharing my food trials gave birth to Augustsecrets informally in 2015 and I started formally in July 2016. It’s been challenging and fun. I am living my dream. I have always loved children. I was a teacher. So if a child is not eating well, I cringe. I am just doing what I love. My pastor, Sam Adeyemi always teaches on value addition. Anything that will add value to the lives of others will usually work, so that is the belief that keeps me going. I raised the capital with my personal savings, popularly known as ‘ajo’. I am good with managing my personal finance, so that helps me a lot to pull through. I can say within the first 3 months, but that was when overhead costs were not much, unlike now. I market value. I give you value. I help you get your child to eat healthier, then you pay me. I don’t market products. I market health. I must say I have been blessed with good people as my staff. So what we have done is to create a structure for each person to follow and show you the consequences of defaulting in your duty. With this, the staff can even judge himself or herself. I also try to love them genuinely. That is very important. My tenacity. I don’t take no for an answer. I can also say my ability to multitask. I have also been blessed with strength. I hardly sleep until I have achieved my set goals. I have enrolled in school to get a certificate course. But currently, I employ professionals to work with us part time because we believe in standard products and services. I sincerely don’t have any regrets. All that I know now, I learned on along the way. However; if I could turn back the hands of time, I would have had my first and second degrees in Infant and Young Child Feeding. Yes, at a point while growing up, my mom and my grandmom always teach me about patience and longsuffering when things are not going well. My mom is a disciplinarian. I used to think she hated me because of the training she gave to me to be an independent young girl. Today, I thank her for that training as it has really helped me to pull through difficult times. I think it’s my ability to multitask. I never knew I could do the things I do now. Be proud of your work and know your target market, do the work, don’t just wish- by Mrs. Ini Onuk. ORGANISATION: Be organized. Know what you want then go for it. Avoid distraction. Set priorities so you can balance your domestic duties and your business. LEADERSHIP SKILLS: Patience. Foresight. People-management.